Please enter the following details, view where these numbers are in your pack. Do you wish to port your mobile number from another provider? Porting is the process of keeping your exsiting mobile number and bringing it over from an existing mobile service provider. You must provide your existing account number if you are keeping a postpaid (on contract) number from another network. You do not need to provide this if your existing number is a prepaid service. You have been advised by the gaining service provider that by agreeing to port my mobile phone number to the gaining service provider I am entering into a new contract with the gaining service provider. 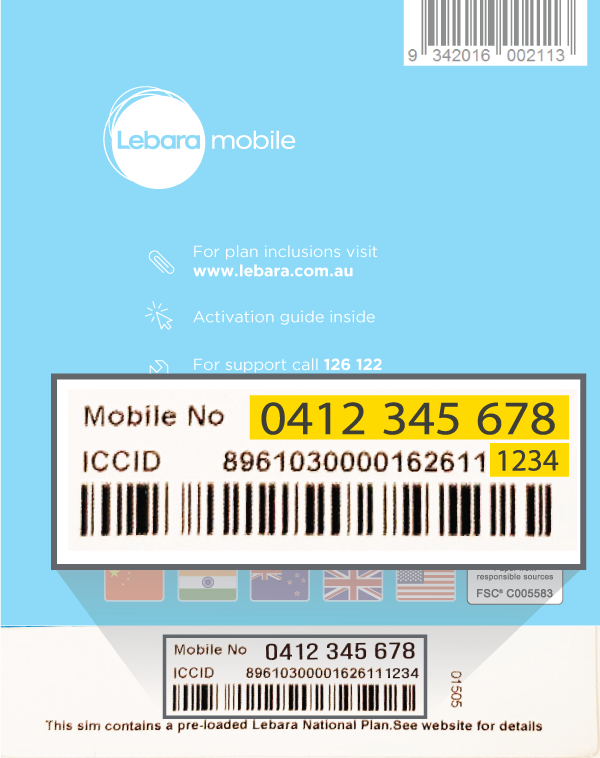 You are authorised to request the porting of this mobile number and you acknowledge that you understand and agree to the terms of this authorisation as displayed on this page. You may be required to make an early termination payment to your existing mobile service provider. You understand and agree to the acknowledgements above. To activate a $2 SIM you must enter a recharge PIN or purchase a plan with a credit card.